Back at home and N-V-T-S with work but I managed to get out to see a few birds this week before work. I have been walking Peanut at Pennypack lately due to bird migration and the fact that our "Mudhole" is being developed for 62+ housing. The contractor sprayed herbicide last week to kill the vegetation so we stayed away. 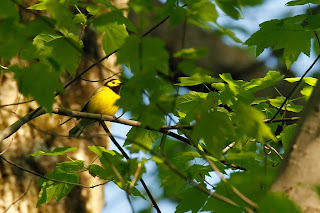 At Pennypack, we managed to pick out a few golden nuggets including a Hooded Warbler for the second year in a row. Not the best photo but at least I managed to get one. Hooded Warblers are notorious for signing and hiding in plain sight. 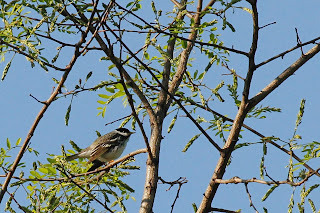 Blackpoll Warblers have the reputation of being the last warblers to migrate through in spring. Not this year. I heard and saw many already and migration isn't even in full swing. 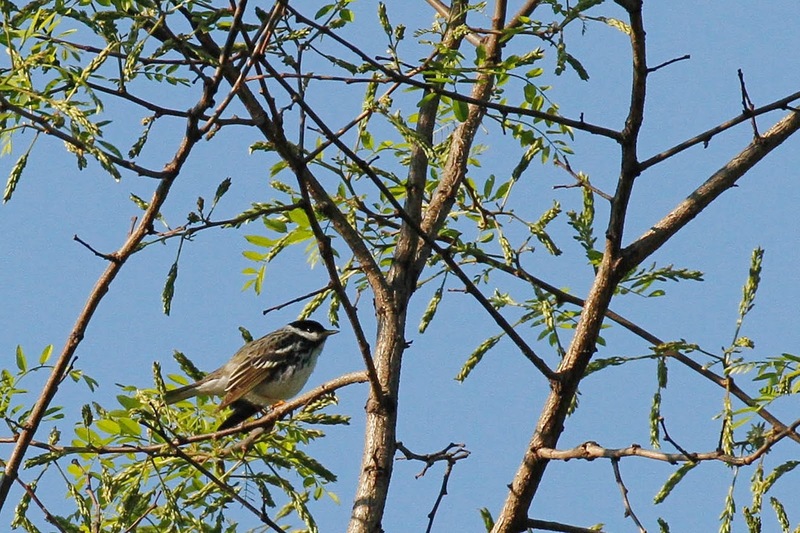 This guy was singing at the top of a tree in the field. 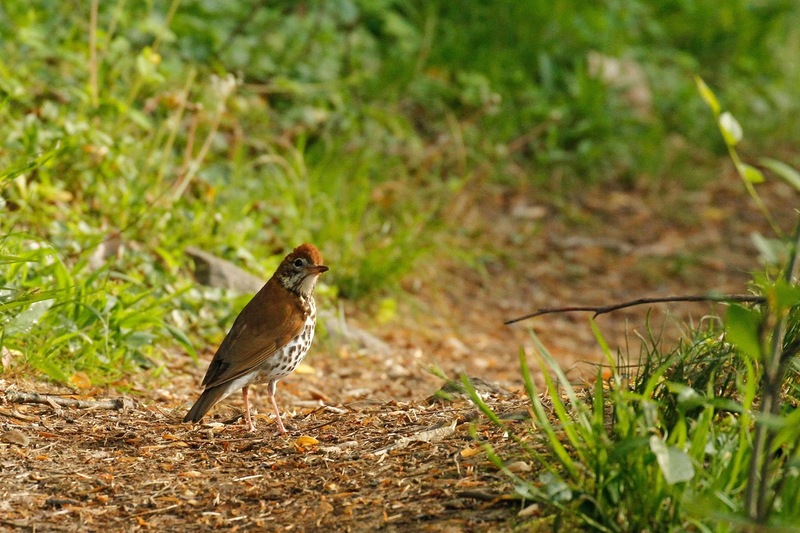 Both birds were also seen by the park administrator and another local birder. I met up with them on the trail as they started their day off of birding. 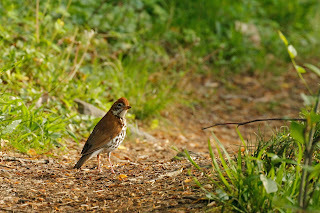 The woods were alive with the song of Wood Thrush. They are really active and out in the open this week. Such rich colors. 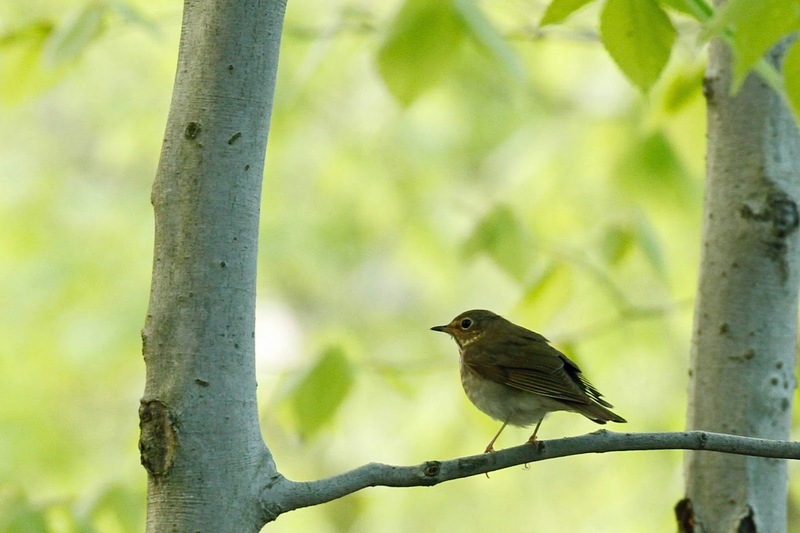 Wood Thrushes are HUGE compared to their cousin the Veery. This is the first one I've seen this year. 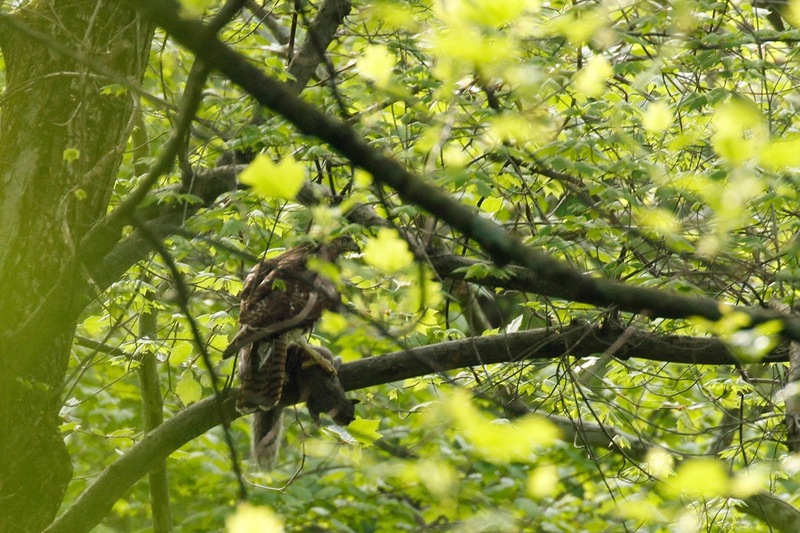 On our way out of the park, we saw this Red-tailed Hawk with her breakfast. Yummy squirrel. Not a great photo. I didn't want to move closer and scare her off. 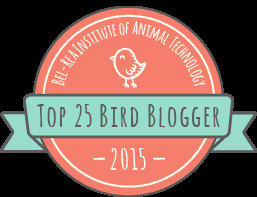 Sometimes the bird drops the prey when spooked and I didn't want that to happen. Big shore weekend planned. Hoping for good weather and good birds.